Soft feel, protective, material. Easy care, wipe clean & colour fast. Great for babies' and toddlers' clothes - at home or on the move. Lower eyelet for carrying and storing folded in half. Clear viewing window.An internal id pocket for secure labelling. 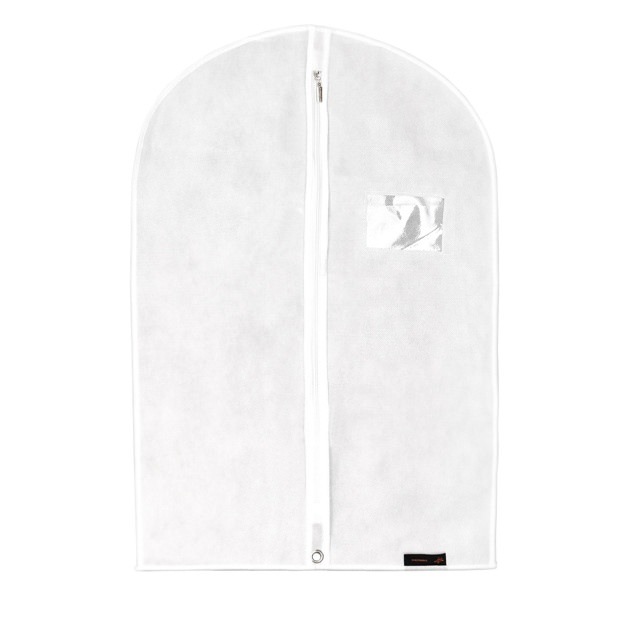 Ideal for long term storage - protects clothes from dust, dirt and moths! Size: Length x Width 30'' x 20'' (76cm x 46cm) approx. I especially like the little clear pocket so that I can put a label in there to I know who's dress it is.